If you are interested in growing your own food, reading books, reviewing seed catalogs and planning your garden is exciting. However, once the plants are in the ground things don’t always go as planned. Growing your own garden is a great way to learn by doing. To that end, I like to take time every year to review some of the key takeaways from the previous growing season. 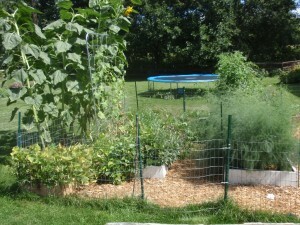 See here for a previous article about gardening lessons learned in 2011. 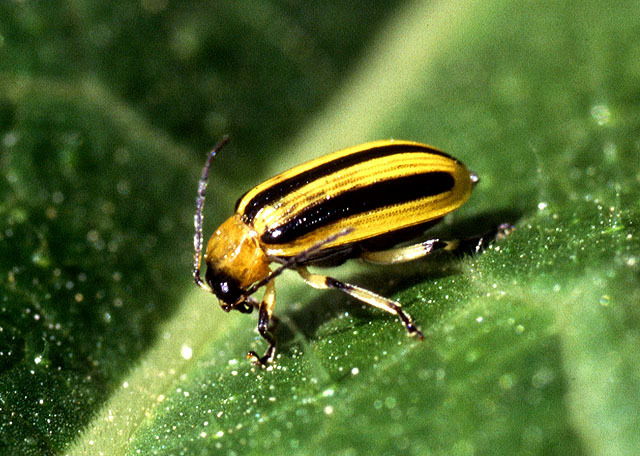 An infestation of cucumber beetles can destroy a crop. My biggest problem this year was an infestation of cucumber beetles. 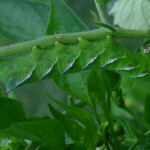 These insects practically destroyed my cucumber crop. In years past I have planted two vines on one square foot garden trellis. These vines have been enough to produce more cucumbers than I can use. During peak production, each vine produces one ripe cucumber a day. That is enough for all the cucumber salad I can eat plus extra to give away. Not so last year. I harvested about three total cucumbers at the beginning of the season before the vines succumbed to the onslaught. Squash bugs were also a problem. These bugs did not do as much damage as the cucumber beetles. They did eat the leaves from the cucumber vines as well as the watermelon vines. I will be researching organic methods of controlling both cucumber beetles and squash bugs in order to better prepared in the coming growing season. Hasty notes on the back of a seed packet. The gardening season is a long and filled with all the distractions of daily life. It can be hard to remember exactly when certain things were planted or when the pests first appeared. To keep track of events related to the garden, I have bought a small notebook. I chose one where the pages are lined with a grid pattern. This should help me map out my square foot garden. 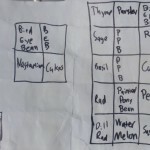 Last year, I resorted to recording things on the inside of a seed packet. This juicy horn worm caterpillar is like candy to chickens. Every year in the garden some crops will do better than others. Cherry tomatoes in particular are very prolific (as long as horn worms don’t destroy them). At the end of the growing season last year, I ended up with an abundance of them. I am not a big fan of the flavor of green tomatoes that have been ripened indoors. Also some of the tomatoes were really young. For this reason, I decided to make pickled green tomatoes. These turned out great. Now, I would say that pickled is my favorite way to eat green tomatoes. Read more about the pickling process here. I am looking forward to pickling more home grown food this season. 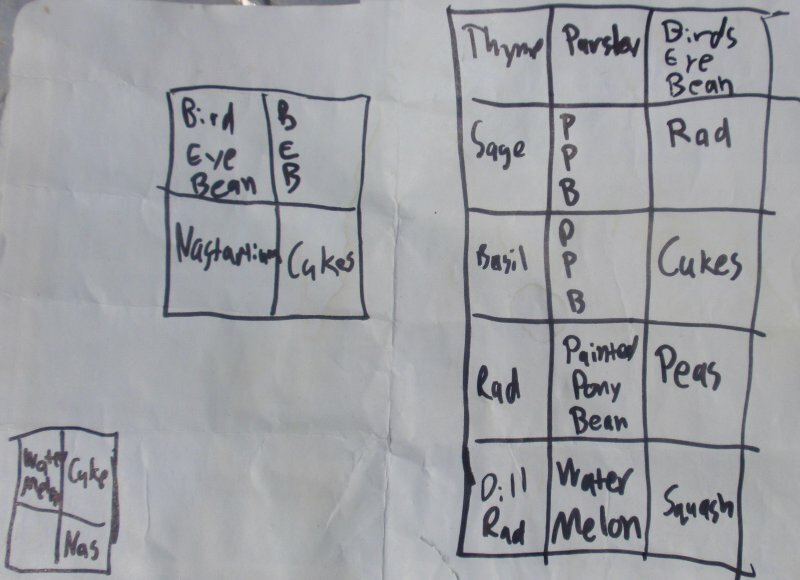 How any particular variety will perform in your garden is not something you can learn from reading the seed catalogs. This year I observed a difference between the two varieties of bell peppers that I have been growing. 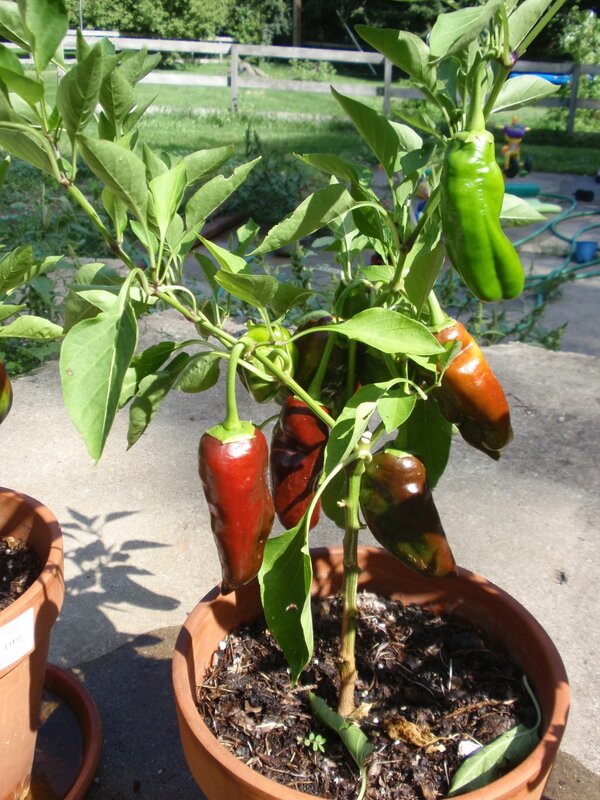 The sweet chocolate chocolate variety produced many more smaller peppers as compared to the purple beauty. In my garden, the purple beauty made a few large peppers. Chickens browsed on the vines that grew on this fence. Chickens love to scratch and dig to uncover creepy crawly insects. They also enjoy tender greens. As you can see in this photo essay, I built a fence around my square foot garden to keep the chickens out. I also built some smaller grow boxes and placed them near the fence. I grew pickling cucumbers and bush beans in one and watermelons and nasturtiums in the other. The intent was to make the fence do double duty and serve as a trellis for the cucumber and watermelon vines. What ended up happening was that the chickens feasted on the cucumber vine while it was young, pretty much destroying it (I did get one pickling cuke out of it). As far as the watermelon vine, they left that alone until a watermelon started growing on it. Then they ate the watermelon long before it was ripe. This seems completely obvious now, but the lesson learned is that you can’t use the same fence to keep chickens out of your garden and as a trellis. Too bad I had to learn it the hard way. One of the great things about growing your own garden is trying new varieties. Eventually, you start to develop some favorites. For its prolific production and great taste the Brown Berry has become my favorite cherry tomato. I am looking forward to trying some different varieties of slicing tomato this season. I am looking for a variety that doesn’t suffer from leaf wilt in my garden. The Chocolate Bell is my favorite bell pepper because it is a good producer and an unusual color. I gave a bagful to a friend and he made them into “chocolate” chili. For great tasting bean soup, my favorite dry bean is the painted pony.